There is a very important fact worth bearing in mind when seeking to make sense of Gianni Infantino’s FIFA: the 46-year-old Swiss-Italian new boy faces re-election in less than three years’ time. Incumbent International Sports Federation (IF) Presidents have so much going for them, it is extraordinarily difficult for any challenger to unseat them. Infantino’s predecessor Sepp Blatter, remember, had little trouble seeing off Prince Ali in 2015, even with all the allegations being laid at his door, before paving the way a few days later for another election, last February, which ended up bringing the former UEFA general secretary to power. If he can hold out in 2019, Infantino should have little difficulty retaining the presidency for the full three terms to which he is entitled. But if a strong challenger presents himself (I think we can rest assured that it would be a ‘he’) at that first opportunity, with Infantino having had just three years to put his stamp on the organisation, he might conceivably be a teeny bit vulnerable. It would not be surprising in these circumstances if a shrewd President sought to tailor early decisions to optimising his electoral prospects, or at least to doing them no harm. There is just one problem: if there is a consummate master in the art of getting re-elected among sports leaders of recent vintage, it is Blatter; yet for the sake of his and FIFA’s wider influence and popularity, it is essential that Infantino create the impression that meaningful change to correct the negative aspects of Blatter’s legacy is being implemented. This might help to explain why Infantino’s FIFA appears to be making the most of fairly cosmetic gestures that could be interpreted as distancing the new man from his predecessor’s modus operandi, while seeming to borrow in other respects from the wily Blatter’s handbook for retaining an enduring hold on the levers of power. What could more clearly symbolise intent to draw a line under the Blatter era than moving Council members away from the luxurious Baur au Lac hotel for next week’s meeting in favour of Zurich’s Park Hyatt? Well, possibly flying easyJet to the IFAB annual meeting, as Infantino also did soon after his election. The Baur au Lac was associated quite inextricably with the Blatter years. Not only was it the setting for those dawn raids that led news bulletins all over the world last year, destroying what remained of FIFA’s reputation, the hotel was also the epicentre in 2010 of frantic final hours of lobbying ahead of the selection of Russia and Qatar as hosts of the next two World Cups. I well remember FIFA bigwigs posing for photographs with actor Morgan Freeman next to an imposing Christmas tree. But the Baur au Lac and easyJet initiatives are essentially gestures, likely to be swallowed with glee by the media, while having little longer-term impact on the way power is wielded within the organisation. If you look at more substantive actions, it is possible to perceive echoes of Joseph’s Way, or at least to imagine that you do. Take, for example, the choice of Infantino’s number two, Senegal’s Fatma Samoura, FIFA’s secretary general. Africa (CAF) is a big confederation containing more than 50 national associations, around half the number of votes required to become FIFA President. Blatter assured himself of the continent’s undying respect and appreciation by battling to have the World Cup hosted there. Might Infantino have achieved something similar for himself via Samoura’s appointment? Don’t get me wrong: Samoura might turn out to be best secretary general FIFA has ever had. But, good, bad or indifferent, her very presence may turn out to be a feather in Infantino’s African cap when 2019 comes around. The new FIFA President had actually offered an insight into his thinking even before the election when he and his campaign team rolled into Wembley for a big splash media event. To me this was an example of old FIFA thinking dressed up as a refreshing change: in a properly-governed institution, in whatever field, one would expect a job of this significance to go simply to the best candidate. Yet here he was broadcasting that European candidates, however well qualified, need not bother to apply. And then there are his thoughts on FIFA’s most important asset and only cash cow, the World Cup. I have observed in the past that things at the world football body tend to grow like topsy, as this is often a way of avoiding difficult choices. But the growth rate of Infantino’s World Cup – from 32 teams in Brazil to a suggested 40 during his campaign to a possible 48 now, albeit 16 of whom would play only one knockout match – is remarkable even by FIFA’s standards. Would this be for the good of the competition? I am not sure this has been assessed. But World Cup expansion has always struck me as a good vote-winner because it means powerful confederation bosses, who can be capable of influencing many votes at Presidential election time, are able to tell national associations in their region that they have secured them more slots. I think it is a particularly tempting move for a European, since the arithmetic would enable him to comply with perennial calls to reduce the proportion of World Cup places allocated to Europe while increasing, or at worst maintaining, the actual number of these slots. So, my advice would be, don’t be taken in by gestures such as the departure from the Baur au Lac. 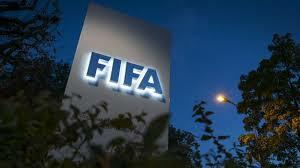 Whether bivouacking there or at the Park Hyatt, this still feels like old FIFA in many important respects. David Owen worked for 20 years for the Financial Times in the United States, Canada, France and the UK. He ended his FT career as sports editor after the 2006 World Cup and is now freelancing, including covering the 2008 Beijing Olympics, the 2010 World Cup and London 2012. Owen’s Twitter feed can be accessed at www.twitter.com/dodo938.